The forecast calls for rain on Saturday but that shouldn’t dampen our desire for a good breakfast and hangar flying at the Chapter 31 clubhouse! Come out this Saturday morning (0900-1030), eat a good meal at a great price (ONLY 5 BUCKS!) to start your day and have a great time visiting with your fellow aviation enthusiasts! Who knows, the forecast may be wrong and some of you can fly in! President John is out of town on family matters and doesn’t have access to a computer so he asked me to send this reminder. He hopes to be back in time to join us. 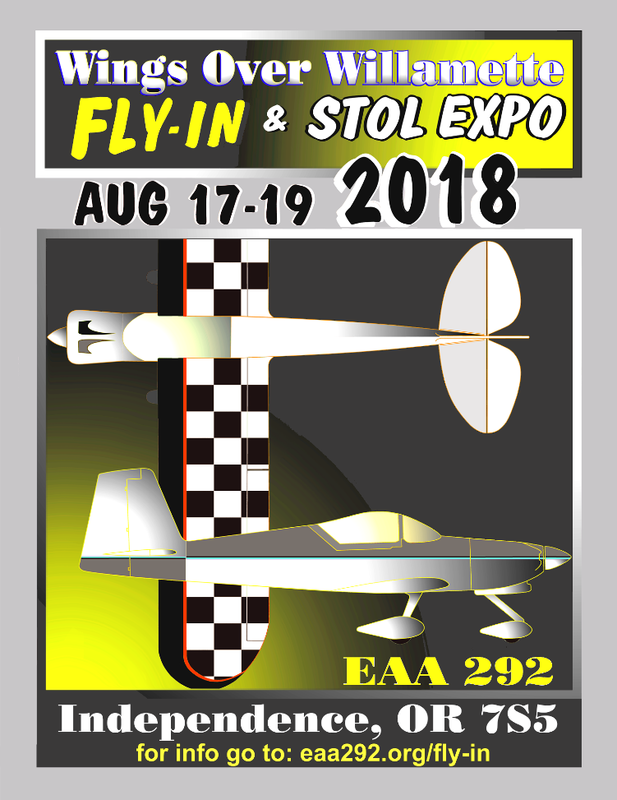 This year the Fly-in features not only Van’s Homecoming, but also our 2nd annual STOL EXPO. Our first STOL EXPO, Sept 2017, attracted 10 STOL aircraft in four different categories. A crowd of 200 showed up to watch them takeoff and land in the shortest distance possible. The winning distance of 152 ft amazed the crowd. Expect more planes and shorter distances this year. The super bowl is over; now we can focus on flying and airplanes! You all should have received Gary’s announcement about our “Special” meeting about the RV3 Project, and it should, indeed, be a very special meeting. Please ALL who participated, come for this meeting. Time permitting we may follow with at least part of the EAA Monthly Video Magazine. Dinner 6:00 PM. Meeting 7:00 PM $5.00 Bring a friend.